Many states are either updating or passing new laws regarding civics education for their K-12 students. For example, Illinois’ new civics graduation requirement goes into effect for incoming 2016-17 high school freshman and South Carolina’s new law specifically requires study of America’s Founding Principles and Documents. The renewed interest in formally educating American students on their shared heritage calls for updated presentations of crucial citizenship information in a way that speaks to 21st century students. These students live in a Twitter, Instagram and Snapchat world of blogposts and tweets. 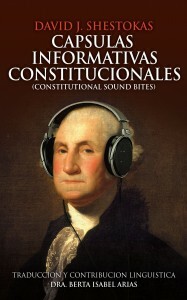 Translating 18th Century English into a 21st Century communications style, Constitutional Sound Bites and its Spanish companion, Cápsulas Informativas Constitucionales convey a solid understanding of America’s Founding Principles and Documents in a way that meets the modern need. 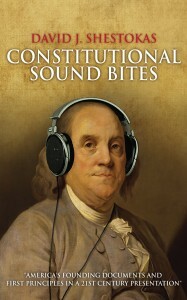 Constitutional Sound Bites provides, in an FAQ format, not dry names, dates and places or “how a bill becomes a law”, but the ideas that motivated the creation of the Declaration of Independence, Constitution and Bill of Rights and the keys to understanding the documents that are our common heritage. The book is suitable as a text book, outside reading or for a teacher wishing to enhance a classroom presentation. The emphasis is that the principles involved in America’s Founding are not Republican, Democrat, liberal or conservative, but American. Both the English and Spanish are Available on Amazon in hard copy and Kindle eBook editions. 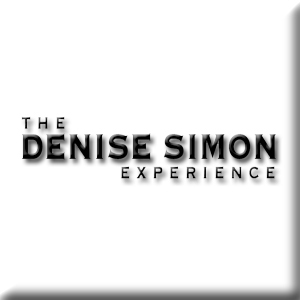 More on the English language version can be found at this link, and the Spanish at this link. More on author and former state prosecutor David J. Shestokas is here, and Spanish language collaborator Dr. Berta Arias is here. For inquiries regarding bulk sales or Mr. Shestokas’ availability to speak to a class or at an assembly, please use the contact form at this link. 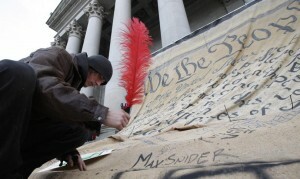 Did you know that before the United States Constitution no right for freedom of the press existed – ever? Everyone needs to understand the combination of people, thought, action, and setting that created this great nation. The opportunity to bring people together around our founding principles could be made so much bigger. 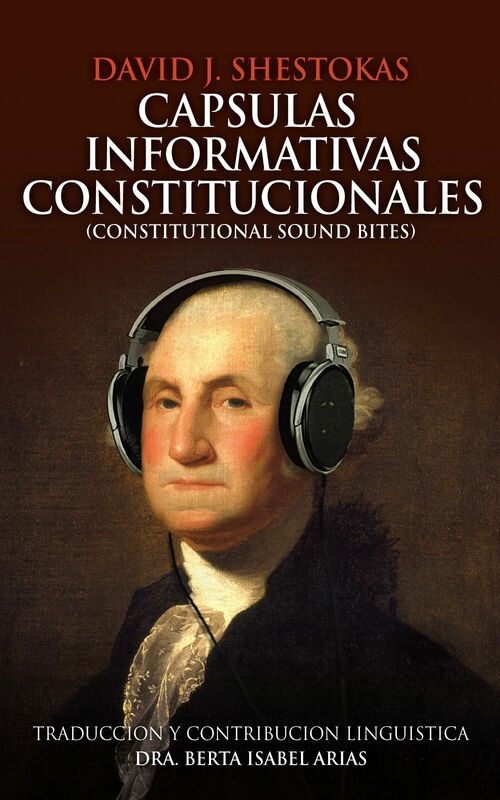 Enter “Cápsulas Informativas Constitucionales,” a Spanish translation of our founding documents and the historical context and debate around them. Why should we study it? What were the risks if the framers signed this document? What impact did the ‘DoI’ have upon the world? ….all those patriotic words, what do they mean?